Should I “top” an auto-flowering cannabis plant? 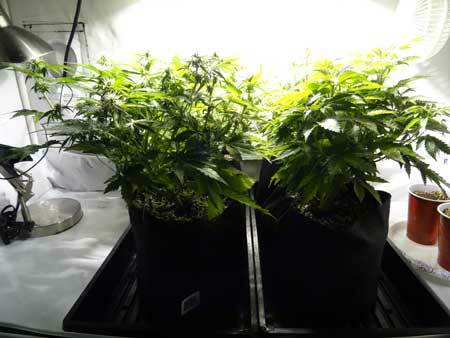 Yes, you can top an auto-flowering plant that is growing fast and healthy. For example if it has grown at least 4-5 nodes (pairs of “real” leaves) by the end of week 2. Otherwise it may not be growing fast enough to handle topping without getting stunted. Read on to learn more! 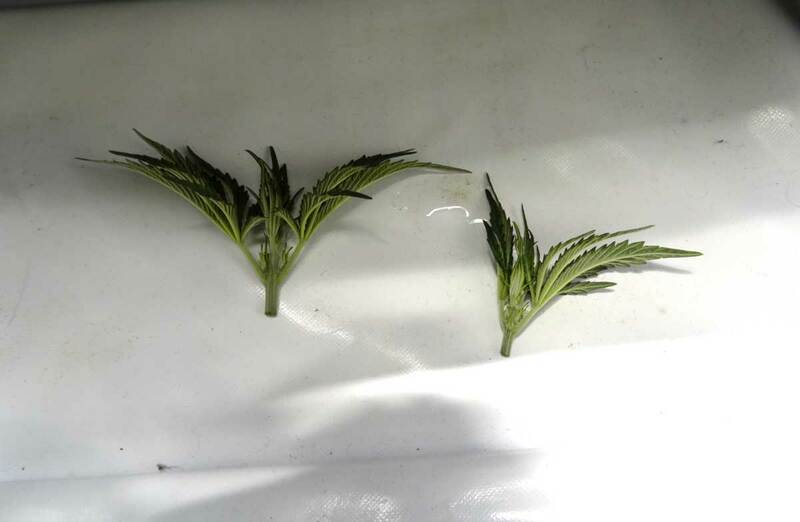 When it comes to growing auto-flowering cannabis strains, there is a lot of controversy about whether they are compatible with the cannabis training technique known as topping (cutting off the tip of the plant while its young). 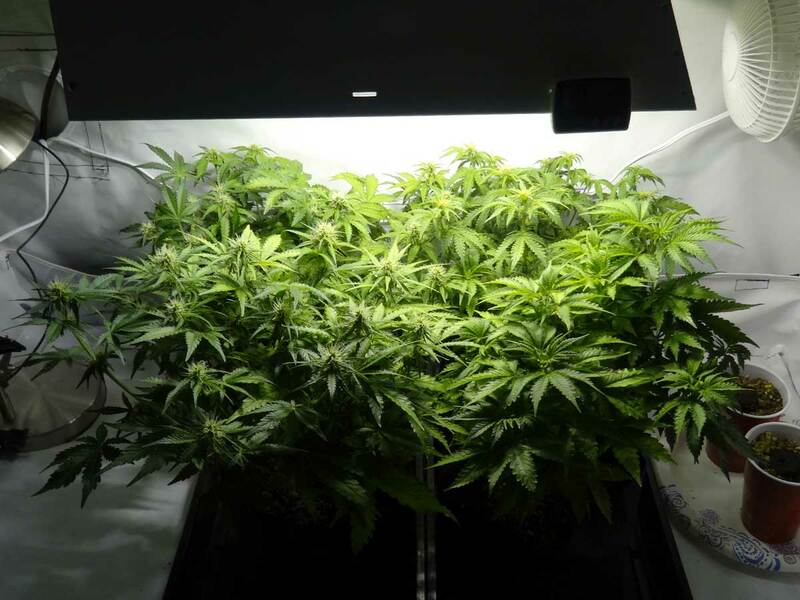 Topping auto-flowering cannabis strains is often not recommended because they’re on a tight schedule and may not recover in time, but it can be done if your plant is growing fast enough during the first few weeks of growth. 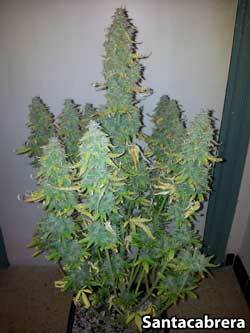 An auto-flowering plant is “full size” at just 6-7 weeks from seed! For example, these autos are 6 weeks old, which means they won’t get any bigger even though buds are still fattening and harvest is several weeks away! So if you top your auto-flowering cannabis plant when it’s young and it gets shocked for 2 weeks, that means your plant only has 4 weeks in total to grow if you think about it. 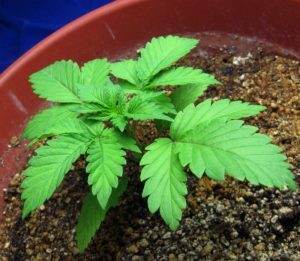 A small cannabis plant is going to yield a lot less, and a 4-week plant is a lot smaller than a 6-week plant. This reasoning is why many growers say to never to top your autos. You want a big plant instead of a small plant if possible. You need long colas to get the best yields from cannabis plants. A stunted autoflower won’t produce much bud because it never gets big! If an auto-flowering cannabis plant grows slowly when they’re young, they stay tiny their whole life! Even though the above grower took really great care of this plant from here on, and got pretty good yields for such a small plant, he would have gotten way better yields if the plant had grown fast enough to get bigger! An auto that grows big can yield a lot, even if it’s untrained like this one! You couldn’t yield all that bud on a small plant no matter how it was trained! And on top of all that, you don’t need to top your plants to get multiple tops. These autos were grown with just LST/bending and they all have multiple tops. Topping isn’t necessary to get multiple colas with autos! Here’s the full grow journal for those autos if you want to check it out! All that being said, sometimes topping an auto does go well. 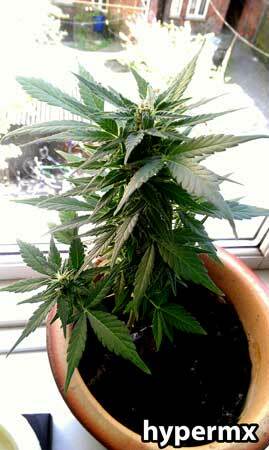 If you have a really healthy, fast-growing plant, topping it may not stunt it at all. In some situations, topping may produce a better structure and increase yields! So it’s not a matter of whether you should or shouldn’t top autos, as much as a matter of evaluating your situation and deciding if the reward is worth the risk for you! plant has grown at least 4-5 nodes (pairs of “real” leaves) by the end of week 2 – this isn’t a hard and fast rule, it just sort of demonstrates that your plant is growing fast enough to handle being topped without stunting. 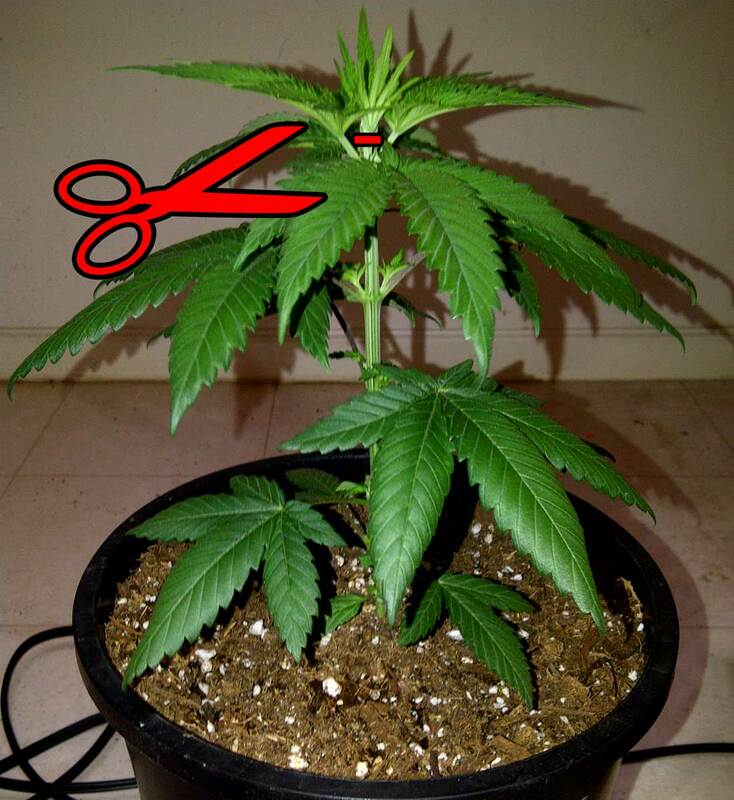 Don’t cut off more than this when topping an auto-flowering marijuana plant! Where Can I Buy Seeds That Deliver to My Country?